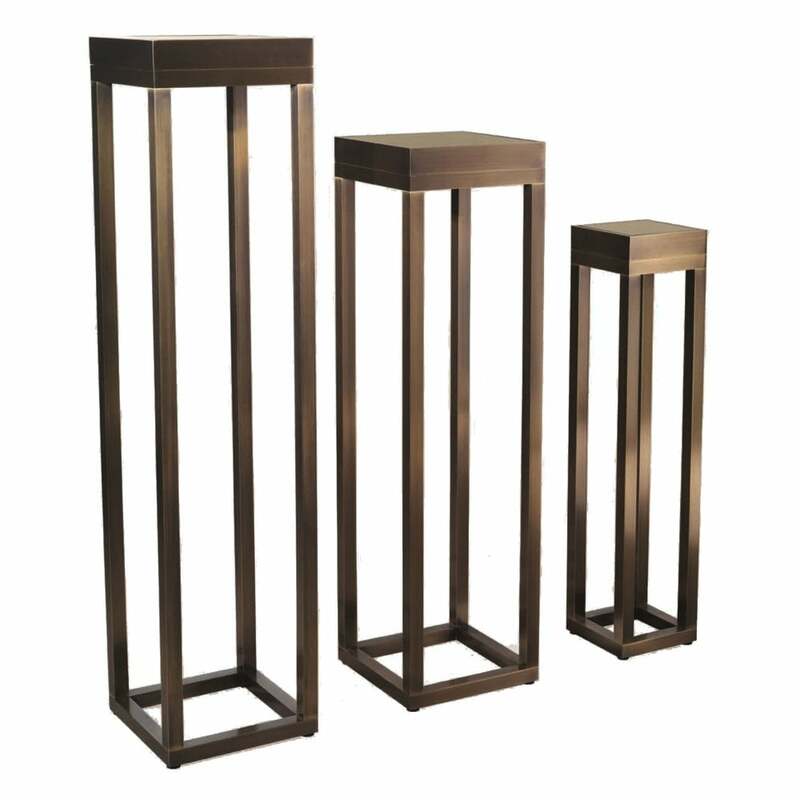 Bronze Small Pedestal XVI Bronze frame with bronzed mirror top and adjustable feet. Art Deco. Statement in a hallway. Display bouquet of flowers or a single stem in a unique vase. Draw attention to a corner, staircase, foyer, bedroom. lift a plant to eye level. Add a pedestal and flowing fern or other draping plant to create a waterfall effect. If you have a piece of sculpture you haven't figured out the best way to display it, consider using a pedestal. A sculpture can be a bust, abstract art, small-sized human form, animal, botanical, or other subject. Lamp to add ambience to a corner of the room or seating area.